Have you ever had a person in your life that you just met, but you already feel like you’ve known each other forever? Right when you meet them, you realize you’ve got tons in common and your personality complements the other’s, and you immediately have a few inside jokes? That’s how I feel about our newest baby. I know. That seems crazy. I don’t know if we’ve got much in common besides genes. We don’t have any inside jokes yet. But I already feel like I’ve known him for ages, like I know him well and love him with a older love, an aged love, a love that’s stood the test of time – for more than his month of being out in the world. You see, I didn’t feel so strongly this way with my other two kids when they were born. With our first, she was new. Everything about her was uncharted territory, from the sound of her cry in the middle of the night to the way we thought about her all the time and planned our lives around her. With our second, he was just a different baby. Not easier or harder than our first, but already our attention was split between the two and it was a huge adjustment. He naturally went with the flow of life that we had going before he arrived. It was his only choice, and he still is that way – a lot like his dad. But now, having welcomed our third baby into the world and into our family, he feels like he’s always been with us. He snuck in, early one morning, after months of anticipation. His siblings immediately loved him, and are ever so gentle with him (excepting J sometimes… he wants to love him hard). His schedule is flexible, his personality a little mix of all of us. 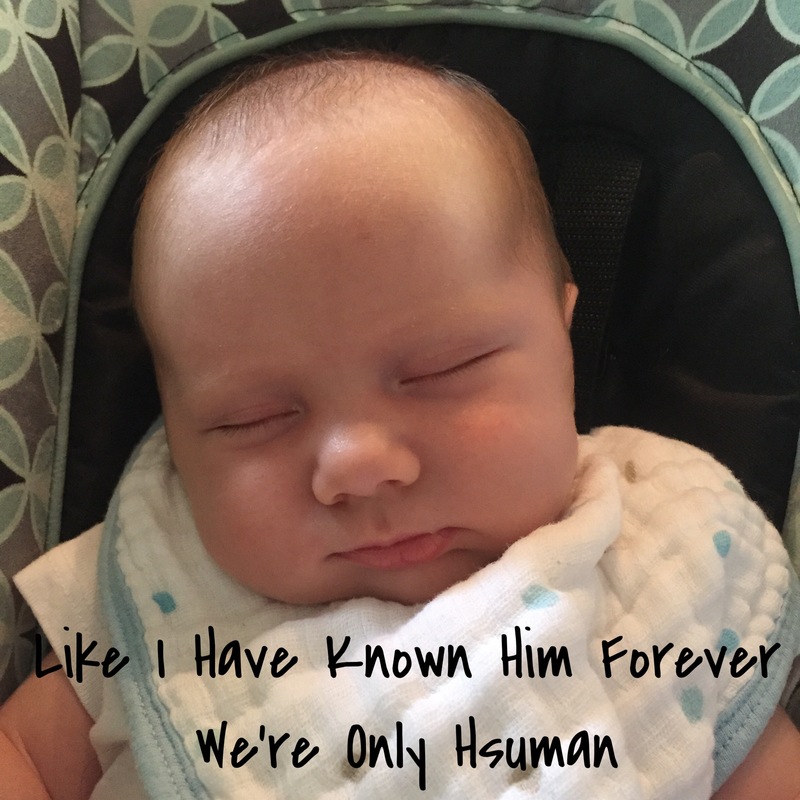 He gets hangry (an affectionate nod to his siblings), he’s strong (I’m looking at you, Hubby) especially for a newborn, and he loves snuggling (just like me) even to the point of preferring to be worn than be laid down. He is alert, like his sister was, and sleeps hard like his brother did. He looks simply like himself, instead of being one of us made over. Of course there are times that we feel overwhelmed – such as thinking about the sheer amount of laundry a newborn adds. There are nights of way too little sleep, and mornings that packing the kids in the car and driving through Chick-fil-A for biscuits is easier than cooking for them. There are naps I wish I was taking and showers everyone else wishes I was taking. But all in all, we don’t feel like he’s an addition of any sort, not a stranger or an outlaw. He feels like he should be here, like he’s always been here. His one month of life with us has been incredibly fun, surprisingly not difficult, and a blessing indeed. For a kid who we were afraid we’d never meet, he sure is the perfect little fit for our family.